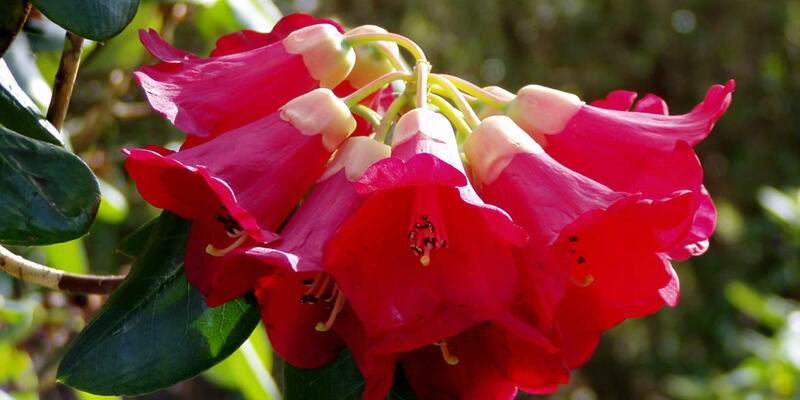 Are You Interested In Species Rhododendrons? Do You Care About Plant Conservation? There are about 1,200 species of rhododendron-mostly native to the Sino-Himalaya region but also found in Europe and North America. Many of these natural habitats and their species are under threat from mining, logging, farming and human expansion and many species are in danger of extinction. Fortunately, seed of many species of rhododendron was collected by the great plant hunters of 18/19 and early 20th centuries and dispersed among large estate owners in Britain who were keen to be among the first to grow and flower these magnificent plants. In the 21st century, some species rhododendrons are ONLY found in their adopted country. 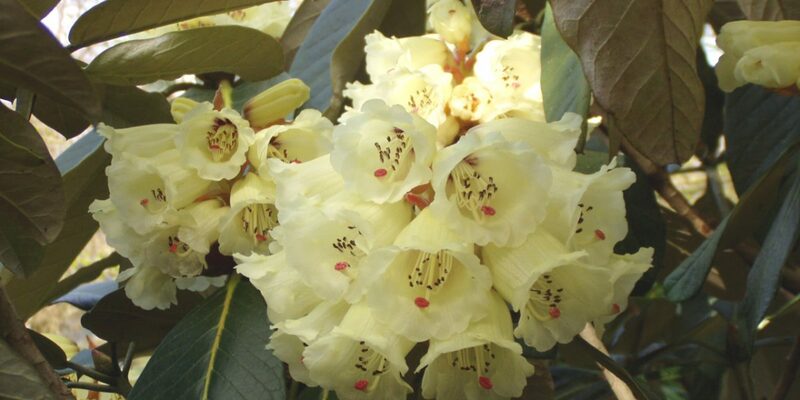 In the 1990’s, rhododendron enthusiasts, growers and horticulturalists became increasingly concerned about these collections of species rhododendrons of known provenance with direct links to the original wild collected seed. Ageing plants, disease, shrinking estates and finances, lack of interest, storm, flood and climate change have all combined to deplete these collections. The RSCG, was set up 13 years ago to address this problem in a variety of ways but primarily to establish new plantings of species rhododendrons covering as many of the sub-sections as possible in locations which will best suit their growth requirements. In addition, a small dedicated group is surveying old Scottish and Northern England gardens in order to locate any remaining important species plants which could be propagated to produce new stock for relocation in our outreach gardens.